John Connolly: Orthodox Christianity for a Modern Man? To those whom I am closest to, it's no secret that in the past year and a half, I have drastically changed my thinking in terms of how I experience Jesus Christ, God the Father, and the Holy Spirit in daily living. While I have long held scripture to be sacred, the doctrine had become hollow, and it is only through prayer, and prayer alone, that I can claim any relationship or faith in God. Perhaps the biggest part of that transformation for me has occurred as I have learned to appreciate the historical, rote prayers of the Church. One cannot explore historical prayer for long, without finding themselves on a deeper, more complex, journey into the history of the Orthodox Church, whose desert fathers (and mothers!) explored prayer like no other people on the face of the planet, before, or since. Unfortunately, Orthodox Christianity and its ancient traditions seem very mysterious in our modern society. This makes it very hard for me to both rationalize my own experiences, and to convey them to others. 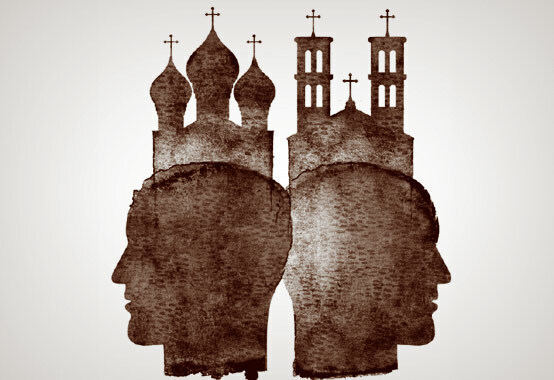 So, recently, when I came across the article, "Eastern Right, Conservative minds convert to Orthodox Christianity," in The American Conservative, I was excited. 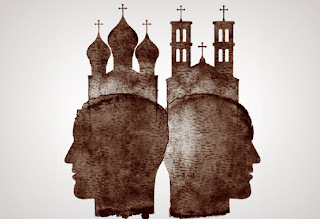 It is comforting to read of others who share a similar experience to mine, and a privilege to share some thoughts on the modern immigration to Orthodoxy occurring in America. Far from mystical and strange, the prayers and traditions of Orthodoxy seem to only the draw us closer to the heart of God, which is a far more wonderful thing than it is an oddity. I am continually surprised and thankful to read in essays and and books on Orthodox prayer reminders that the prayers should never become a mantra or chant that only bring comfort in their own rhythms. Again and again, Orthodoxy teaches that prayer is a way we approach God, never a comfort in its own right. When's the last time you heard that taught in Western Christianity? The article also talks about an exciting trend in the United States- converts from "evangelical" Christianity. Yet converts keep coming, and they bring with them a revivifying enthusiasm for the faith of Christian antiquity. One-third of Orthodox priests in the U.S. are converts—a number that skyrockets to 70 percent in the Antiochian Orthodox Church, a magnet for Evangelicals. It's refreshing to see that some clergy of mainline denominations aren't necessarily following those denominations' paths into an increasing bland flavor of liberal Christianity, almost indistinguishable from societal self-help groups in their message and practice. Some clergy are actually looking for a church that celebrates the Christendom of the Bible as much as possible; changing themselves to be more God-like, instead of their churches to be more worldly. One such example highlighted in the article linked to above is Frederica Mathewes-Green. Frederica and her husband actually left the Episcopal church, and her husband is now an Orthodox Priest. Frederica is a respected Orthodox teacher in her own right, and her writings have been a jumping-off point for many modern Christians who want to learn more about Orthodox tradition. Her book, "The Jesus Prayer: The Ancient Desert Prayer that Tunes the Heart to God," is a well-thumbed favorite of mine. If you are interested in learning more about how a modern person might begin to pray like the ancient Christians, I would highly recommend it as a starting point. As Rob Dreher says in the article above, "Orthodoxy’s pre-modern traditionalism can be a rich new source of spiritual and cultural renewal."